Opening back cover of Samsung Galaxy S4 is the first condition you need to know if you want to insert the SIM and microSD Memory card. The starting point on the way you can remove the back cover of GT-I9500 is from the left-side of the device where the tiny gap exists in there from the rear panel view. See the image below to make sure what I meant it. 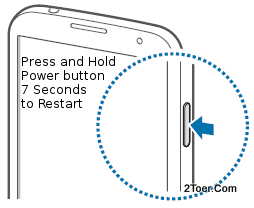 Insert your fingertip or fingernail into the starting-gap, while the other hand hold-stand the position of the rest body ofthe Galaxy S4, and lift the cover up until the cover partly removed. Continue using your fingernail on detaching the sides cover separated from the body of the device until the cover finally removed. After the cover was removed, you'll see the microSD Memory card slot, the SIM card slot and also the battery's compartment. The SIM slot locate above the battery compartment and below the 13MP rear camera at the right side, and on the left side of the SIM slot, it's the memory card slot. As to replace the back cover aka attach the casing back, all you need to do just align the cover with the body of the Galaxy S4 and make sure you place the camera hole on the cover with the camera, then gently press the sides of the cover until it clicks. That's the indicator of the cover that perfectly attached to the body. With gold-colored contacts facing downwards and the cut-edge of the SIM card face "inside" with the slot, slide and push the card into the slot until the card locks in place. You can use your back of fingernail to push the SIM card to its slot. To remove the SIM card, from the back of the slot, you'll see the part of the SIM. Use your fingernail to make the SIM card disengages from the slot by pushing it, then when you able to pull the card out, just pull the SIM card out from the slot. Some how you can use the fingertip then press the SIM card and slit it out from the slot. After you open the back cover of Samsung Galaxy S4, you just need to align the microSD Memory card just like what we pictured below. Of course you need to make sure that the gold-contacts of the memory card is facing down, then all you need to do is pushing the card into the slot until reaches the end of the slot. It will lock automatically. To Remove the Memory card, you need to unmount the memory first: Go to Apps ~> Settings ~> More ~> Storage ~> Unmount SD card. This step is needed in order to ovoid and damaged data or losing your saved project or document. See the picture below. The left side of the picture shows you on how you could assemble / insert the battery (used Lithium-ion type with 2600 mAh capacity) on Samsung Galaxy S4. (1) Align the connector on the battery with the metal contact of the compartment, the slide and (2) press the battery down until it firmly inserted to its compartment. To Remove the battery, on the bottom of the battery's compartment, there is a small cave that you can insert your fingertip in this gap as to make you easily lift the batter up and then you can pull out and remove it. Remember that you should power the Galaxy S4 off before you try to remove the battery unless you wanna do force shutdown and restart. Pressing the Power button for about 7 seconds would make the Galaxy S4 forcefully restart aka reboot. This step sometime is needed if your GT-I9500 device suddenly unable to respond any touches activity or the touschscreen stop responding aka frozen aka has fatal error. Go to Apps ~> Settings ~> Accounts ~> Backup and reset ~> Factory data reset ~> Reset device ~> Erase everything.